The fifth anniversary of the death of Begum Sultana Islam, founder president of National Women Federation (NWF) will be on August 16. This tribute recalls and highlights the achievements of this remarkable woman. Sultana Islam received the Queen's Coronation Award in 1953 in recognition of the outstanding social service in erstwhile East Pakistan. Sultana Islam was a social worker, an educator, writer, journalist and a devoted mother. Sultana was born in an illustrious Muslim family in Calcutta around1925. Her maternal grandfather was Sir Abdur Rahim, the Chief Justice of Madras and author of 'The Jurisprudence of Mohammaden Law'(1911), and her paternal grandfather was Maulvi Mahmud, Principal of Calcutta Aliya Madrasa. Orphaned at an early age Sultana was raised by her grandmother Tamanna Begum, and uncle in Bankura, West Bengal. Her grandmother, a pious and religious lady was well known for her generosity and social services. From childhood Sultana joined her grandmother in serving the poor, destitute, needy and those who were rejected by the society with food, clothing and help. Thus at a young age she understood the value of 'Service to Mankind'. During her college she worked as Joined Secretary of All Women's India Conference District. Sultana found in this giving great satisfaction in helping the poor and needy, and this pleasure in giving continued through her life towards the betterment of society- particularly for the cause of women and children. After her marriage and India's partition, Sultana moved to East Pakistan. Between 1949 and1960 she joined All Pakistan Women's Association, and worked as treasurer, secretary and as vice president. 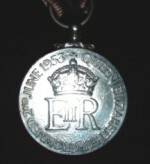 It is during this time that Sultana 1953 received the Queen's Coronation Award. Sultana did not rest on her laurels. Like so many women of influence, she looked for new challenges and ways to be useful. As she got older, she was still able to accomplish some of her most important work. In 1971, after Bangladesh's independence, Sultana took the initiative to participate in the reconstruction of the war torn country. 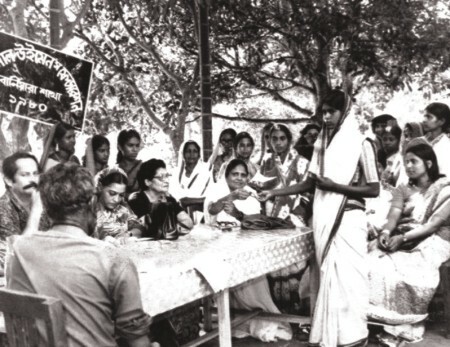 She organised the women in Dhaka and founded the NWF in 1972. Sultana worked with Mother Teresa to rehabilitate war children; helped war affected women at Anna Maria's clinic. To repatriate stranded Bangladeshis from Pakistan she led the women in demonstrating to the Government, UN bodies the urgency of repatriating them - which drew attention of the international organisation and soon they were repatriated . She devoted her energies to women's literacy, opened a primary school for street children, ran several self-earning projects like poultry farming, rearing goats and sewing for the poor women giving them interest free loans. She did not lose an opportunity of urging a practical beginning, however small, for she believed in such matters. 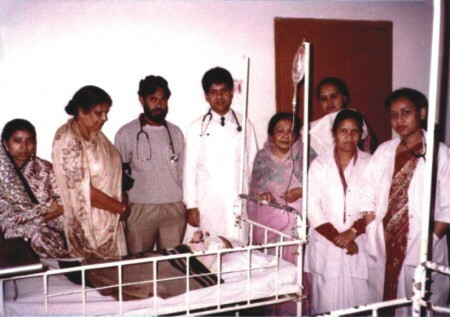 In 1989 the NWF established the first Children's Dialysis Unit of four beds in collaboration with Shishu Hospital. Today the unit has expanded to ten free beds and two paid beds. Many under-privileged children from rural areas receive free treatment. Giving interest free loans to women. Sultana represented Bangladesh internationally in many occasions. In every visit she tried to portray a positive image of Bangladesh while at the same time express the need for better opportunities and facilities for women and children. In 1975 she was invited as the state guest in United Arab Emirates by H.E. 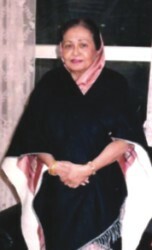 Sheikha Fatema. In 1985 she participated at the Nairobi World Women Conference. She mentioned: “The social structure should be based on honesty and morality where human values should be given more importance, and where weak and strong can live together in harmony and peace.” The same year she participated at the Commonwealth Conference on 'Women and Violence' in London. In 1986 she participated at the 'General Federation of Iraqi Women' in Baghdad. She also represented Bangladesh in Beijing at the UN 'Women Year' conference in 1995. In 1993 at the University of Toronto, Canada she spoke on 'The Importance of Human Values'. Sultana was an avid reader and a prolific writer. Around 1939, Sultana started a monthly magazine called 'Jagoran' (awakening) in Bankura of which she was the first woman editor. The magazine was circulated in Bengal. Many of her short stories and poems were published in Ananda Bazar, Jugantor and Saogat newspapers. In 1941 Rabindranath Tagore visited Bankura. Sultana was selected to welcome the great poet with her poem. In 1957 some of her written dramas were staged at the British Council. Sultana was very appreciative of her religion, tradition and culture. In 1987 she wrote and published 'Woman's World'. Part I included food recipes and Part II related to Islamic teachings. Education was one of her first loves. She believed “knowledge is power”. During Sultana's childhood, Muslim women practiced purdah. She learned Arabic, English and Mathematics from the house tutor. She was not satisfied with such limited knowledge and wanted a formal education like her neighbours of other sects. The beginning of pursuing her formal education was a memorable event. One day when she was only 7 years old, she was brave to take the school bus with her neighbours to visit their school. At the school she met the senior teacher who was their family friend, and expressed her desire to join the school. The faculty placed her in class one after taking her test. Sultana enjoyed the studies and returned home. She was a bit scared that her guardians would punish her for going out without informing them. On the contrary the guardians secretly admired her courage, and supported her to pursue her education. In 1943, Sultana was the first Muslim woman to graduate with Bengali Honors from Bankura Christian College. Then she moved to Calcutta to study Master's in English at Calcutta University. She was equally dedicated to her family. Her husband Shamsul Islam, a Civil Engineer was a supporter of Sultana's work. As a mother of four children, Sultana ensured that they received the best education. She raised them in a liberal way but also ensured that they understood the importance of possessing good ethics and moral values, in-order, to become valued members of the society. Sultana had a dream, and she acted on the implementation of its success. To her, success was “to have looked for the best in people instead of the worst; to leave the world a little better … a redeemed social condition; to know that even one life has a fuller span or breathed a little easier because you have lived”.